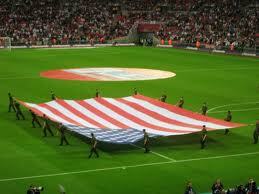 Do you fancy playing football and getting Educated in the USA? I know most young goalkeepers want to achieve their dream of becoming a professional goalkeeper but we at J4K find ourselves pushing most of our goalkeeper students towards getting a scholarship in the USA. What is a USA Scholarship? This is the opportunity to go the USA and get educated in one of their many Universities. This is normally for four years and what we think is great about this opportunity, is not only are our goalkeepers playing a very high standard in the US, they are playing in stadiums and using training facilities that we can only envy here in the UK. But the best bit… they are getting educated! So after four years, they come out of this with a degree! On top of this, when they are finished they are still only about 21 years old, so still young enough to come back to the UK and get a professional contract. We try and teach our students the importance of having irons in the fire and not relying just on becoming a Pro Goalkeeper to make a living. J4K is pushing our students more and more towards this route now because we think getting educated is so so important and this is an important iron in the fire for any of our students. If you want to know more about how you too can get a scholarship in the USA, please go to www.goalkeeperscholarship.com and complete the form. Please Note: J4K is invloved with this, so please be rest assured it is 100% legit. Receive access to special offers, FREE tips and drills, videos and much, much more.